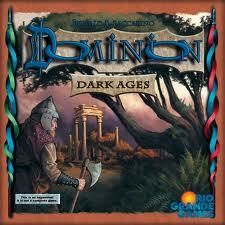 Rio Grande Games' newest 500-card Expansion to Dominion has arrived. In Dominion: Dark Ages there are new Kingdom cards as well as new bad cards to be given to your opponents, new cards to replace starting Estates, and cards you can get via specific other cards. 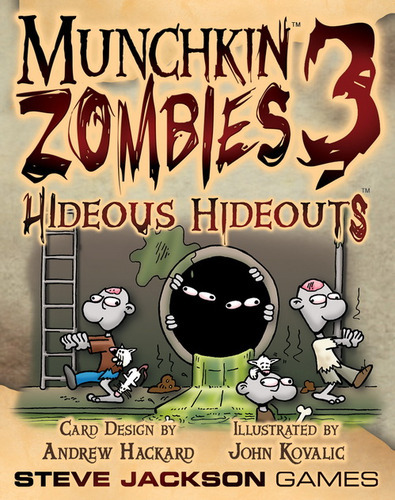 Also newly released and arriving this week is this Expansion to Munchkin Zombies from Steve Jackson Games. 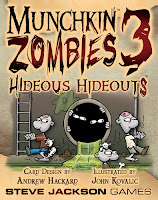 In Munchkin Zombies 3: Hideous Hideouts you will find places for more yummy brains and portals that will keep your hungry undead on the move as you hunt for tasty survivors. 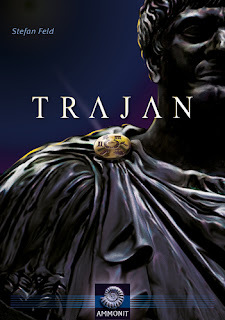 Newly released in the USA and arriving to our store this Friday is Trajan. This is another Stefan Feld designed strategy game. As with Stefan designed games there are many ways to score points. 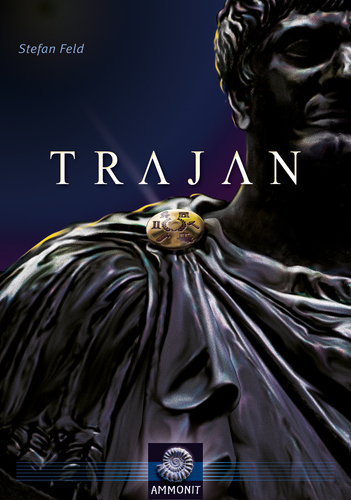 Trajan is a development game set in 110 AD Rome. It uses an interesting Mancala-type mechanism at the start of each players turn. This movement of stones from one bowl and redistributed to the other bowls will determine what action a player will make. Continue to tune in for the latest in board games. Come and visit our store. We have a full range of family games, strategy games, Euro-style games, war games, card games, dice games and more. Also for the puzzle enthusiasts we carry quality puzzles from Ravensburger, TDC, and White Mountain.